A family is a group of people living together, often related by marriage, birth, or other strong bonds. Throughout history, people have found that their lives are better, easier, and more rewarding if they live within a group. This group, or family, is a basic unit of almost every society. Which people make up the family, the ways in which they are related, and the nature of their obligations to each other vary greatly through history, across different cultures, and even within a particular culture. Early humans faced many dangers. They banded together in groups of people who were almost always biologically related to each other. These families often were led by one strong, skilled person (usually a man but, in some cultures, a woman). This social structure increased the chances of survival for each individual in the group. Within the family, the young, old, and disabled were protected. Older, more skilled family members taught younger ones. Family life allowed people to pool their labor and resources and develop specialized skills. It gave family members a feeling of security and belonging. Families developed in every culture, because they helped people meet their physical and emotional needs. In return for receiving the benefits of belonging to a family, each member had certain obligations. These responsibilities usually centered on performing work, respecting the decisions of the head of the family, sharing, and behaving in ways that benefited the family more than the individual. The idea of giving and receiving support, help, knowledge, and protection within a group of trusted people is still the basis of the modern family. 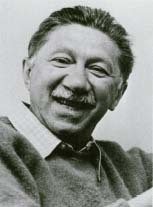 Psychologist Abraham Maslow (1908-1970) believed that all people had needs, which he grouped into a hierarchy of importance. Families meet the needs that Maslow's hierarchy classifies as most basic: food and shelter; safety and security; love, affection, and feelings of belonging; and self-esteem. According to Maslow's theory, people cannot work to satisfy their higher-order needs for knowledge, art, and personal growth until their families have met their most basic needs. The idea of family is ever changing. As immigrants arrived in America from many different cultures, they brought with them their own ideas of family. Technological changes, such as the development of the automobile and the airplane, also have changed the idea of family. Once it was usual for several generations of people to live together in the same house and for brothers and sisters to settle down in the same town. Today, fewer families follow this pattern. As children reach adulthood, they are likely to leave their parents' homes and move into separate homes of their own, sometimes at great distances from other members of their family. Today Americans call the people they live with their "immediate family," and groups of other people they are related to either biologically or by marriage are included in their "extended family." The percentage of children living with only one parent increased from 20 percent in 1980 to 27 percent in 1999. Although most children living with a single parent live with their mothers, in 1999, 4 percent of children lived in single-parent households headed by their father. In 1999 about one in every three babies was born to an unmarried woman. In 1960 only one of every 20 babies was born to an unmarried woman. In the late 1990s, about half of unmarried women who gave birth to children lived with, but were not married to, the fathers of their children. About half of marriages in the late 1990s are expected to dissolve through divorce. About 60 percent of all second marriages end in divorce. A significant increase in the number of gay and lesbian couples living together openly has resulted in an increase in the number of children living with adult partners of the same gender. It is estimated that between 8 percent and 20 percent of same-gender couples living in California and between 18 percent and 22 percent of these couples living in South Carolina had minor children living with them in 1999. In 2000, Vermont became the first state to put the legal rights of same-gender couples who participate in a civil union on an equal footing with the rights of traditional opposite-gender married couples. In traditional families, marriage between a man and a woman marks the beginning of a new family. In time, the married couple may have children of their own, forming a new nuclear family. Children live from infancy with their parents and siblings, allowing relationships to grow slowly over a period of time. Sometimes, however, families are created instantly through adoption, remarriage due to the death of a parent or due to divorce, or transfer of responsibility from the parent to another caregiver, such as a grandmother. The majority of these "instant" families come about through the marriage of a parent who already has a child. The Stepfamily Foundation estimates that in 1999 half of the 60 million children in the United States under age 13 were living with one biological parent and that parent's partner. Although all families experience problems such as sibling rivalry or the adjustment of family relationships when a new baby is born, relationship adjustment difficulties and stresses in so-called instant families are often magnified. When a new family is created that incorporates children past infancy, people may lack the time or skill needed to form close emotional bonds. Older children sometimes feel resentful of the new adult "parent" in their lives. Adults who have not been parents before may be unprepared for the demands of a ready-made family. Adults and children both may be jealous or feel that their security is threatened as a result of issues centering on favoritism. Families need time to develop new rituals, share experiences, and build emotional bonds of love and trust among family members. Professional counseling or self-help groups often help both children and adults get through the difficult initial stages of forming new family bonds. Being a teenager and a member of a family normally involves certain types of conflict. As young people move toward adulthood, they need to become more independent of their families. They must develop a sense of self that allows them to establish mature relationships with their peers that will eventually lead to the formation of a new family. At this point in their lives, adolescents sometimes feel that being part of a family prevents them from experiencing the freedom they want. To get away from these restrictions and establish a stronger sense of independence, adolescents may spend a lot of time away from home, sometimes more time with their friends than with family members. The desire for independence often conflicts with family expectations. Parents or heads of households may feel that their teen is ignoring responsibilities to the family or behaving in ways that seem disloyal, put the family at risk, or distress the adults who love them. Family members may feel uncomfortable with the teenager's changing role in the family. Sometimes parents may try to enforce rules that limit the teens' contact with friends or may become so tired of conflict that they simply give up their role as parents. This can have the unfortunate effect of removing the safety net that families provide for growing teens. While teens are separating from the family, they still need all of the support a family provides. Finding a balance between the desire for individuality and responsibility to family is one of the greatest challenges of adolescence. Good communication between all members of the family helps everyone adjust to change. If good communication among family members breaks down, it is helpful for teens to find an adult outside the family who can offer a less emotionally involved perspective on family situations. Teens may pass through a stage where they are in conflict with the adults in their families, only to redevelop strong family ties as they grow older and begin families of their own. The body of law that deals with marriage, divorce, cohabitation (living together), child custody, the rights of biological and adoptive parents, and juvenile justice is called family law. Legal conflicts can arise when people live in nontraditional groups that are not recognized in law. Child welfare, inheritance laws, and medical rights are based mainly on the concept of a nuclear family. This can lead to situations where a grandmother who is raising her grandchild may not be able to authorize medical treatment, enroll her grandchild in school, or take the child to another state or country unless she goes to court and becomes recognized as the legal guardian of the child. In other cases, unmarried adults living together as a couple may be unable to receive health insurance coverage available to married partners. When parents are married and then divorce, both parents are still part of their child's family, but the mother and father do not consider themselves to be part of each other's family anymore. In disputes arising between divorcing parents, the court often is asked to decide who is to be the main caregiver and to determine the rights and responsibilities of each parent. Starting in the 1990s the courts increasingly were asked to address the rights and responsibilities of everyone involved when biological and adoptive parents were in conflict. Courts also began hearing cases involving the rights of homosexual partners who were raising children together. Generally, the court is charged with making decisions that are in the best interest of a child, but the interpretation of what is in a child's best interest can vary from judge to judge and court to court. Older children may be asked to give their opinion about issues such as custody or visitation, but judges are not required to consider a child's preferences. Young children are rarely consulted in these situations. Often, changes in family law lag behind changes in family structure. More and more families consist of nontraditional groupings of adults and children. Family law is constantly evolving to address the legal challenges that arise from the changing concept of family. Jacobs, Thomas A. What Are My Rights? 95 Questions and Answers About Teens and the Law. Minneapolis: Free Spirit Publishing, 1997. Written by a lawyer for readers 12 and up, this guide helps teens understand family laws that may affect them. Packer, Alex J. Bringing Up Parents: The Teenager's Handbook. Minneapolis: Free Spirit Publishing, 1993. Written for teens 13 and up, this guide gives advice on how to build trust, take responsibility, earn freedom in their family, and handle common sources of family conflict such as messy rooms and curfews. Stepfamily Foundation, Inc., 333 West End Avenue, New York, NY 10023. Provides telephone and in-person counseling from divorce through stepfamily formation.